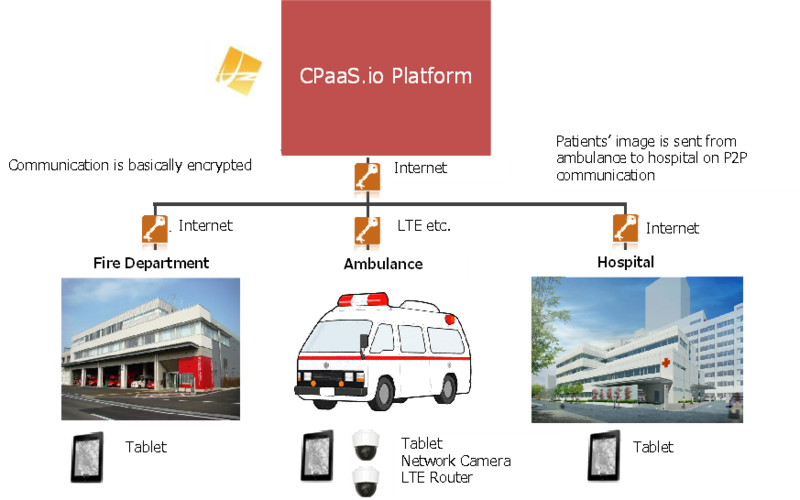 This first stage of the Yokosuka Emergency Medical Care implemented the typical functions of Emergency Medical Care in the spirit of the CPaaS.io platform framework. 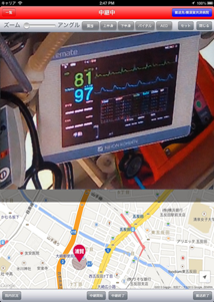 The Yokosuka Emergency Medical Care use case aims to improve quality and efficiency of medical information sharing regarding emergency patients and to reduce time to start initial treatment after ambulance arrival. Position sharing module – a module to share the location of an ambulance between emergency crew members and doctors. In order to validate the initial implementation, we used an existing package that operates on the implemented modules of the CPaaS.io platform. We have implemented the typical functions of Yokosuka Emergency Medical Care applications as well as the wrapper module to test the feasibility of the initial implementation, see Figure 2. The metadata integration has not yet been implemented in this stage. Before doing so, we need to fully examine the typical functions of the Yokosuka Emergency Medical Care applications. The CPaaS.io project is jointly funded by the European Commission (grant agreement n° 723076) and NICT from Japan (management number 18302). All information provided on this site is provided "as is" and no guarantee or warranty is given that the information is fit for any particular purpose. The user thereof uses the information at its sole risk and liability. For the avoidance of all doubts, the European Commission and NICT have no liability in respect of this document, which is merely representing the view of the project consortium. Proudly powered by WordPress · Theme adapted from: Pique by WordPress.com.